Below you can view all the homes for sale in the Lake Royale subdivision located in Louisburg North Carolina. Listings in Lake Royale are updated daily from data we receive from the Raleigh multiple listing service. To learn more about any of these homes or to receive custom notifications when a new property is listed for sale in Lake Royale, give us a call at 919-759-5747. Meticulously Maintained,Unique 2 Story Water Front 3 Bedroom 2.5 bath Home on .82 Ac 3rd lot available over 1 Ac of complete Privacy to enjoy your very own forest or jump in your boat to enjoy all the amenities of the Gated Lake and Golf Resort.Home boasts of hardwood floors, open floor plan, workshop, storage for water toys an Awesome Sun Room to enjoy the nature that abounds around you in your very own private forest (deer, ducks, herons, egrets, hummingbirds, butterflies, etc). Easy commute to Triangle. MLS#2248970. 514. Gated Community On 345-acre Lake W/18-hole Golf Available!! ! MLS#2249598. 3774. Gated Community On 345-acre Lake W/18-hole Golf Available!! ! MLS#2249266. 3774. Enjoy outdoor entertainment on the patio, 334sqft deck, or screened porch. MLS#2247474. 1602. Feels like you are at a mountain retreat, but close enough to the triangle to enjoy city life too. Come see for yourself! MLS#2248135. 1127. MANY EVENTS HELD! Full Service Restaurant! Home Warranty! MLS#2244263. 4712. Private, wooded back yard. Walk in crawl space. MLS#2246182. 4498. The gated community also includes a Pool, tennis courts, club house, large lake along with other amenities. MLS#2246958. 4885. 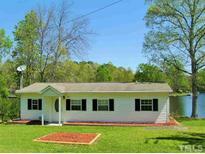 Large almost 3/4 acre lot, 2 car garage, and covered front porch. MLS#2246196. 514. Enjoy boating, fishing, or swimming on the 345 acre lake, walking trails, entertaining in the clubhouse, dining in the restaurant, tennis or basketball, or a day on the golf course. MLS#2245635. 4268. Corner lot conveniently located near entrance of popular gated lake community with pool, clubhouse, playground, boat ramp, beach/swimming area, pavilion and golf course! MLS#2244912. 2931. Patio, screened front porch & large side/front yards! MLS#2245065. 372. Lots of things to do such as Beaches, Boat Ramps, Basketball court, Tennis court, Volleyball court, Putt Putt Golf, Bingo, Game night, Steak Night. MLS#2244426. 5134. Golf, Pool, Tennis, hikes, water sports, beaches, community snack shack and restaurant. 2 much 2 list! MLS#2244192. 5242. 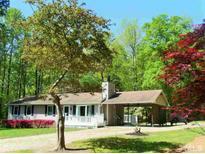 Enjoy boating, fishing, or swimming on the 345 acre lake, walking trails, entertaining in the clubhouse, dining in the restaurant, tennis or basketball, or a day on the golf course. Many community groups and activities. MLS#2243660. 734. Septic permit issued 2017, no septic only holding tank. MLS#2243385. 514. Call ahead to get gate access or be sure to take agent license to access Lake. MLS#2243182. 5037. Blue home in photos is what home will look like. MLS#2243047. 1768. This awesome home is in the coveted gated Lake and Golf Resort community of Lake Royale. Easy commute to Triangle. MLS#2241029. 514. Whole home generator that switches automatically. SO MUCH MORE!! ! MLS#2241862. 2905. Enjoy your gourmet kitchen, gleaming wood floors. MLS#2240862. 5026. Master bedroom has large walk-in closet with dual vanities, tub and shower in master bath. Large bonus room above garage. MLS#2238133. 514. Pictures do no exactly represent the details of this house. MLS#2240208. 1602. Pictures do no exactly represent the details of this house. MLS#2240078. 1602. Pictures do not exactly represent the details of this house. MLS#2240081. 1602.